Excuse me, Peter Pan. It is time to step aside and make room for a new villain who is coming to Storybrooke. We are talking about Rebecca Mader. She will be featured in multiple episodes of “Once Upon a Time” after the mid-season break in March 2014 (via E! News). Her character will be going against the forces of good in Storybrooke. At this point, we do not have much information on which iconic fairy tale character Mader will be playing. However, we can tell you that the first glimpse of her role will be in the mid-season finale on Dec. 15. The only ideas we could come up with are Cruella De Vil or a wicked step-mother. 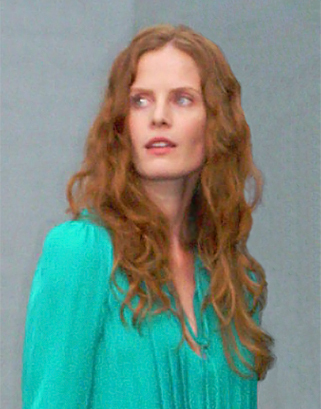 Whom do you think Rebecca Mader will be playing? This photo is courtesy of Kristin Dos Santos via Wikimedia Commons at en.wikipedia and it is licensed under the Creative Commons Attribution 2.0 Generic license.